Welcome to Amazon International Airport! After perennially sitting as a top contender for Amazon’s HQ2 bid, Chicago received the news that it would not be the site of the company’s second headquarters like everyone else did, via stories from The Washington Post, The New York Times, and Amazon itself on November 13. Amazon’s decision to build its second headquarters in Long Island City, Queens, New York, and Arlington, Virginia, laid out the national assumption that Chicago was crestfallen, particularly after being narrowed down to one of the top twenty contenders in January 2018. Despite the rejection of Chicago’s massive corporate recruitment efforts, the city continues to carry on as it did before Amazon began courting the 238 cities it originally targeted for HQ2 in September 2017, building new, preserving old and eagerly anticipating what a new mayor will mean for upcoming and ongoing projects like the restoration of the Uptown Theatre, the construction of The Paseo, and The 78. According to responses to a Freedom of Information Act (FOIA) requests obtained by Crain’s Chicago Business on December 14, the city laid out an impressive set of perks to entice Amazon to build its HQ2 headquarters. Some communications show Chicago offering Amazon naming rights to airports. With the bid still active, an Illinois judge ruled in August that the City of Chicago could keep the details of the offer under wraps. Chicago, Illinois, and Cook County collectively offered Amazon $2.253 billion in tax breaks, extensions, and incentives, as well as five possible sites in varying stages of planning and development. Ultimately Amazon only wanted to look at The 78. The company liked the location of the still-developing 62-acre mixed-use site, near the Loop as well as the University of Illinois at Chicago, as an educational incubator for computer science and technology. Despite the rumor that Amazon visited three times to check out the city’s offer, Amazon actually only made only two trips to Chicago, reviewing neighborhoods and amenities, and bringing together both Mayor Rahm Emanuel and Governor Bruce Rauner for a series of bipartisan lunches. In order to expedite Amazon’s architectural and spatial needs, Chicago also offered a specialized lien to allow Amazon to obtain building permits for the $5 billion construction of HQ2, as well as homes for the associated 50,000 workers and executives. 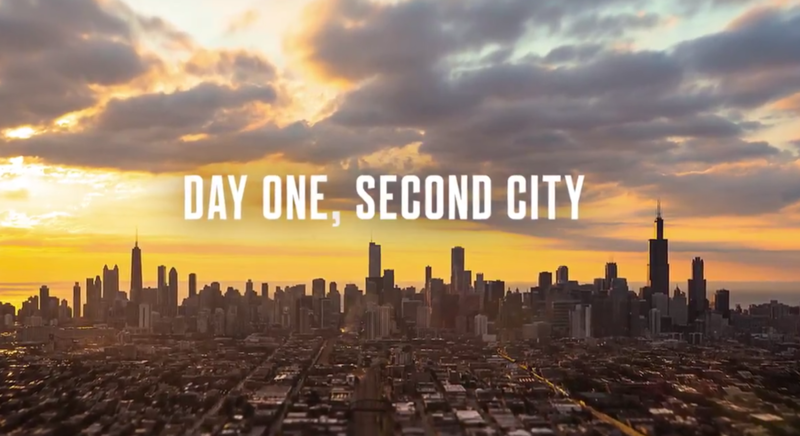 In March, Chicago sank money into a slick bid video released on Rahm Emanuel’s Twitter account. The video took poetic aim at Amazon CEO Jeff Bezos, comparing Amazon’s humble beginnings in a garage in 1994 to Chicago’s triumphant reconstruction after the Great Fire of 1871, with narration provided by Star Trek alumnus William Shatner. Bezos is a known Star Trek fan.